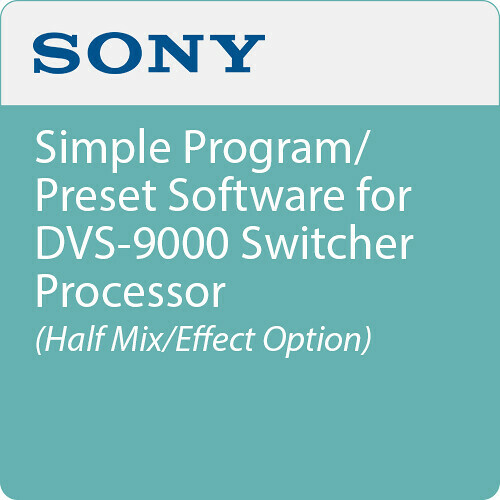 The Simple Program/Preset Software from Sony is a software option for the DVS-9000 Switcher Processor on a simple half M/E (Mix/Effect) bank. This is available to increase any system's processing power by adding the facility of a simple PP (Program/Preset) bank. This M/E bank includes a fully functional background transition and the ability to insert 2 additional keyers.